Kalitta claims the Netherlands acted contrary to three articles of the Air Transport Agreement between the US and EU, and that its actions have been “unjustifiably and unreasonably discriminatory” by restricting access on the Amsterdam-New York route. Last week, the US Department of Transport gave “interested persons” 14 days to respond. 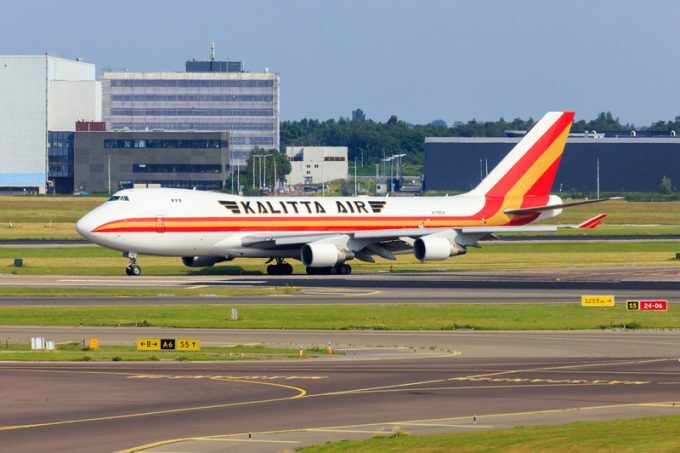 Kalitta, which has operated on the route twice a week for the past 15 years – the only US cargo carrier to do so – fell foul of tightening regulations at Schiphol (AMS) which had been forced to implement a 80:20 slot rule. The “use it or lose it” rule came in when Amsterdam reached slot capacity. Because Kalitta operated less than 80% of its operations within its slot times, it had its historic slot rights removed. When Kalitta protested, it was allocated two slots from the ad hoc slot pool for summer 2017, and again in winter 2017. It received four slots for summer 2018, but none for winter 2018. It added it had been advised it was “unlikely to receive any”. The carrier argued that, although it did consistently miss its slot times, it was because “85% of Kalitta’s operations into AMS are operated as return flights from eastbound charters operated under contract to US Transcom, the military transportation command, into US or NATO installations in the Middle East, including Afghanistan, Kuwait, Doha and Turkey. Kalitta was put on a waiting list for slots, but has yet to receive any “meaningful number”. ACNL advised Kalitta to approach KLM for slots, which “politely but firmly refused”. Kalitta pointed to the fact that Dutch carriers KLM and Martinair “together hold a very large proportion of slots …. [so] it is easy for them to juggle slot assignments to cover off-schedule operations, so as to avoid running afoul of the 80:20 rule. This is not an option for Kalitta. Further … KLM often operates flights without slots, yet its operations are allowed to continue undisturbed. Kalitta continued to operate, but received a letter from Schiphol in November “urgently request[ing] Kalitta to immediately cease operations at AMS without allocated slots. It threatened to “take all measures at its disposal to enforce compliance (which may include summary proceedings to obtain a court order) and hold Kalitta liable for all costs and damages”. It called on the ‘local rule’ to be implemented, but alleged it was being delayed by ACNL. A spokesperson for Schiphol told The Loadstar: “In the past year, Amsterdam Airport Schiphol was confronted with flight services from Kalitta Air without any slots. Pursuant to European regulations, slot coordinators are required to allocate slots before airlines can fly at Schiphol on a certain date and at a certain time. “Schiphol passed the violation by Kalitta Air on to the Human Environment and Transport Inspectorate, the supervisory authority affiliated with the Dutch Ministry of Infrastructure and Water Management that enforces the slot regulations. The aim of this action was to exercise due care in observing the limit of 500,000 air transport movements and to prevent parties from flying at Schiphol without permission.